Stretch: 2-way stretch, 20% vertical and horizontal stretch. Vinyl fabric swatch. 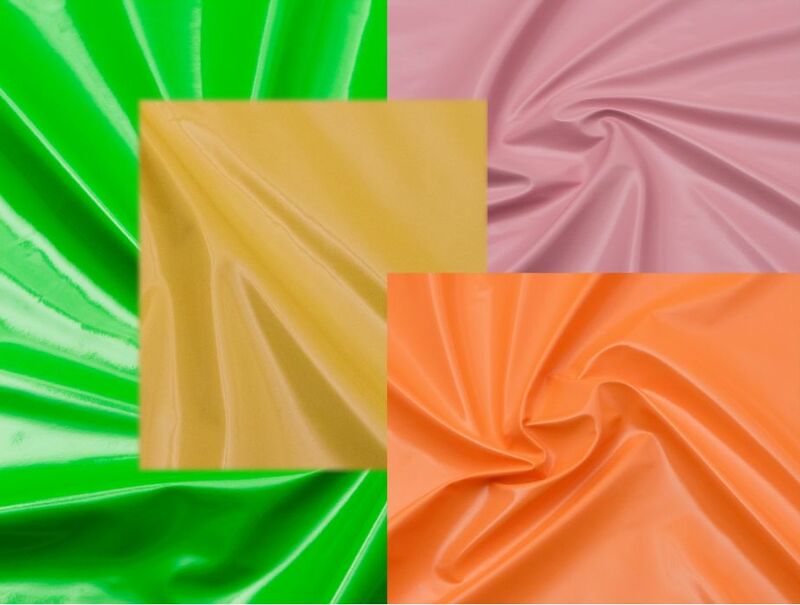 Also referred to as PVC or P/U polyurethane fabric. The material has a soft polyester backing with smooth and shiny top side coated in vinyl. Recommended uses include corsets, halloween costumes, dog beds, hacky sacks, light uphostery, couture fashions, bags, and more. Choose up to 5 colors. PVC Swatches has been added to your cart.